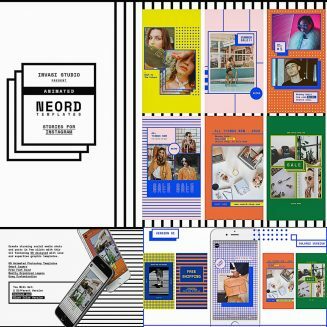 Give your social media account an update with Neord Instagram Stories Animated Templates. 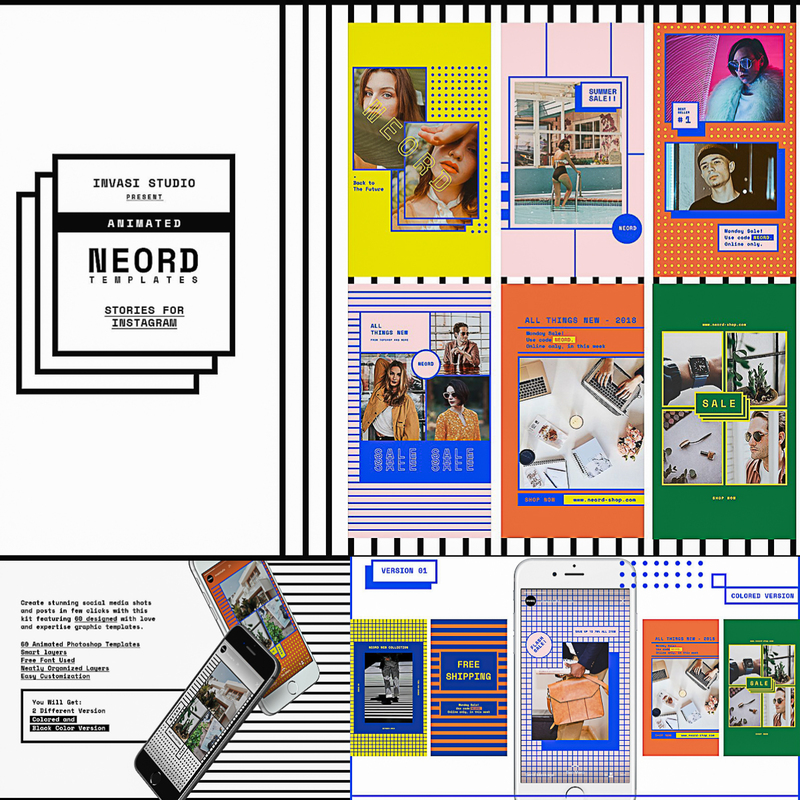 Inspiration from Memphis Design Style and Retro 90′. Create stunning Social Media shots and posts in few clicks with featuring 60 Designs Animated. Perfect for your Branding Product, E-commerce, Blogs, and Personal Account. Tags: 90, 90's, animated, blog, bright, instagram stories, instagtam template, memphis, minimal, nerd, shop, social media, social template.